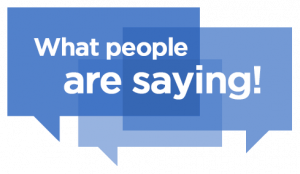 Testimonials: It’s important to us that the homeowners we work with have a great experience with us. In the end, we’re not happy if we’re not able to provide you with the solution you want. So, check out what others have said about us. Here’s just a few snippets of what other people we’ve worked with have said. Want to share your own experience with us? Send us a note to let us know what working with A1 Investment Properties has been like for you. Write a review on your experience doing business with A1 Investment Properties, LLC. Defined by Service & Expertise. I was very surprised by my experience with A1 Investment Properties in Savannah. Marc was super professional, honest, helpful, and fair. He could not have made the process any easier. We got a fair price on our home, which was in really bad shape.. and the best part was being able to sell it so Fast! I felt so relieved after receiving our offer, knowing that was the price I was getting. No fees, no commissions, no closing costs. I’m so happy I came across A1 in Savannah. I would recommend them to any of our family and friends. Not only was the experience basically hassle free, but I got the sense that Marc and Vinny’s team really cares about what impact they have in our community. Thank you guys! I was in a situation where I was responsible for selling my parents 40 year old home after they moved out. To add on to that, the house needed a great deal of work. After taking the advice from my Realtor, I met with A1, and they made an offer on their house that was more than fair. I did not have to do anything. No moving furniture, no cleaning, etc. They took over completely and I didn’t have to do any work. I highly recommend A1, they made sure my interests were met when I was in a pretty stressful position. I was really behind on taxes, I mean really, really behind. I needed to sell my house as quick as possible. I didn’t have the time nor the means to make any repairs. But more so, I really didn’t want to be taken advantage of. After meeting Vinny, I felt like I had hope again. He explained the process and I immediately felt comfortable knowing that I was being offered a fair price. The deal was complete in just six days.